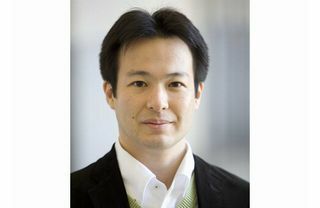 Satoshi Ikeuchi is Associate Professor at the Research Center for Advanced Science and Technology, the University of Tokyo. He was a visiting scholar at the Woodrow Wilson International Center for Scholars in 2009 and Visiting Fellow at the Clare Hall, University of Cambridge in 2010. He specializes in Middle East politics and Arab-Islamic Thought. His first publication based on his doctoral studies, Gendai Arabu-no Shakai Shiso: Shumatsuron-to Isramu-shugi (Contemporary Arab Social Thought: Eschatology and Islamism), was published in 2002 and earned Osaragi Jiro Prize for Critical Works. He also earned Suntory Prize for Social Sciences and Humanities in 2009 for his book “Islamu Sekai-no Ronjikata (Methods of Discussing Islam). He vigorously engages in public debates in Japan on the Middle East affairs and Islam. His articles on contemporary Middle East politics were published as Arabu Seiji-no Ima-wo Yomu (Arab Politics Now), Tokyo, Chuokoron-shinsha, 2004 and Chuto: Kikino Shingenwo Yomu (Middle East: Analyses on the Epicenter of Crisis) in 2009. Apart from writing and teaching on the Middle East and Islamic politics, he has published literary and critical essays in various journals and compiled them into a book Shomotsu-no Ummei (The Fate of Books) which was awarded Mainichi Book Review Prize in 2006.